I just watched the former Governor of Anambra state, Peter Obi on Channels TV. He gave an analogy on corruption that is completely wrong. He likened corruption to e.g. someone going into a Supermarket to steal little bits of things, and running away. According to him, we should all put measures in place (e.g. CCTV), to track the thiefs and try to stop them from stealing in the first place, instead of abandoning the Supermarket and chasing after the petty thief. MY TAKE- It is great to fight corruption in a preventative manner. Excellent. However, the nature of corruption in a place like Nigeria is NOT like a petty thief stealling little/minor goods from the shelves. NO. Nigerian political thieves have stolen the entire SUPERMARKET. The entire supermarket is missing in Nigeria. My lecturer- @JeffreySacks argued that when corruption is at extreme, it becomes a huge threat to development. 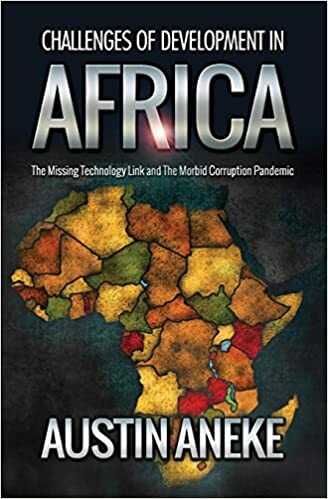 In my opinion corruption in Nigeria and most african countries is at extreme, and a huge threat to development. E.g. The EFCC had about 52 high profile cases on its website, and the monetary value of these 52 cases totals about 8 Billion dollars. This is more than the entire GDP in 2009 of Central African Republic, Sierra Leone, Cape Verde, and Lesotho put together. Moreover, 8 billion dollars is about one third of entire Nigeria budget for one year. This is not to say that the current Nigerian government is fighting corruption properly, because they are foccused on expunging stolen resources from oppostion politicians, and harbour BIG thieves amongst themselves. I am only trying to indicate that corruption is huge in Nigeria and also a BIG threat to development, and must be tackled via any means possible.